very well-versed in the minutia of the SW Universe. Though I have played several MMOs since 2003 (SWG, EQ2, CoH/CoV, Warhammer, STO, LOTRO, Warhammer, Rift, and WoW), I only actively participated in a guild in SWG, EQ2, and WoW. SWG and EQ2 were so very long ago (2003-2005), that I cannot recollect the names of the guilds I was involved with. Suffice it to say, that we were not focused on endgame during those times. Most of our time together was spent on lower-level instancing, PvP, and RP. I started playing WoW in January of 2007, joining an alliance guild on the Turalyon server. This guild was comprised of RL friends. The majority of my MMO time since 2007 has been spent in that game. We were primarily focused on 10-man RAIDs, and BGs/casual Arena during that time. That particular guild eventually drifted apart as people left the game, prompting me to transfer to Horde. 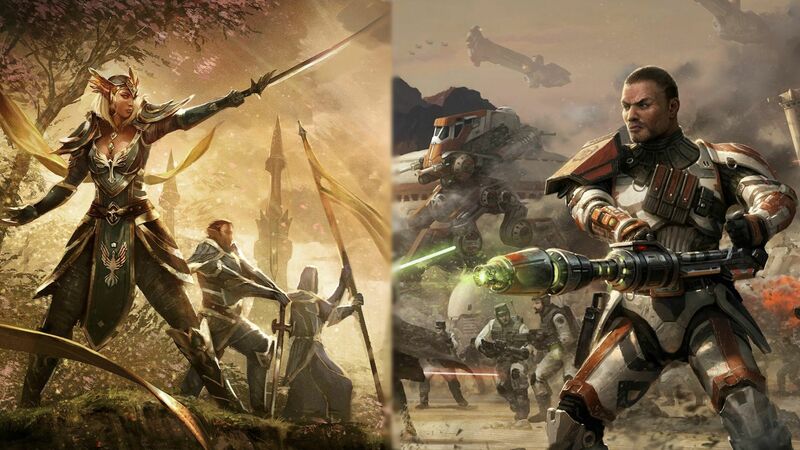 At this point, while I play fairly regularly, I am simply waiting for SWTOR to be released. The people of my guild are aware of my intentions, and have no issue with them. and RP. I am able to play during the evening on weekdays, and most weekends. suits my needs. I have been anticipating this game for a long period of time, and want to enjoy every aspect with other Star Wars fans. the most well-executed. For example, a planned PvP strike on enemy installations typically offers a lot of RP value. the time necessary to learn and research his character(s). In the past, I have proven to be an asset to guilds I have been in by being punctual, reliable, trustworthy and effective in the gameplay environment. always fair-minded, and is an asset to any group/party they are a part of. A quality guild member would act as an ambassador of the guild to the rest of the gaming world/server. 13. How did you find the Army of Light? Did someone recruit you? If so, please let us know who. SWTOR Guild Search. yourself with the, Charter, Mission Statement, and Rules of Conduct? this something to which you can commit? Yes. Loyalty, and Maturity? What are your definitions of these four words? Respect: This is a lesson I hope we all learned in Kindergarten (though, it is in short supply in many online games). Treating others in the same manner you wish to be treated. Realizing that you are not the center of the known universe, and other people have opinions that may differ from your own. Honor: Acting with integrity at all times. Following through on promises and, when possible, helping others out. Loyalty: Being faithful to your friends, family, and those that have shown loyalty to you in return. This includes self-sacrifice, at times, in order to do "what is right" by those that have been there for you all along. Maturity: Being able to put things into perspective. Realizing that you need to pick your battles. Having learned something from the many lessons life teaches us all. to get back to where he had come from. he should be looking to do at that stage of his character's development. Someone had once performed a similar act of kindness with me, earlier in my SWG experience, and this was a great opportunity to act in kind. It is the little things like this that help to build a great gaming community. Sadly, I don't see it as often as I used to. objective. Attacking the camp could alert the guards at the relay. on our terms, than have then come upon our rearguard at a later time in the mission, therefore we would attack them immediately. Depending on the number of Sith in the camp, I may dispatch an operative to the relay, so that we could wage a 2-pronged attack. spending time with my gf. I am an affable guy, and am looking forward to having a good time with guildies in this game. -Character Physical/Mental Features: Human. 6'0" tall. Light-skinned, blonde hair. Particularly adept at telekinesis. Sometimes a little too headstrong, he is prone to rash behavior, at times. path, and agreed to be trained by the Order. His earlier indecision lead to a later start in his training, for Craylon, than most Padawans. Embarking on his Jedi Path at his advanced age, meant that he would need to work twice as hard simply to catch up to his peers. Welcome my man to the army of light, i'm Tal Core Starknite, call me Tal. I noticed one thing about your app that could use some beefing up, and that is number fifteen. Try to define each of the traits. Everything else looks pretty good. Shoot me a PM if you need anything, and good luck! Good luck and hope you get in! Good luck, hope you make it in. Your Application is now Under Review by the Recruitment Council. You will receive a response shortly, usually within the next 48 to 96 hours. Good luck, always good to see new Knights. Thank you for the wishes of good fortune, all! This looks like a great app! Good luck, and I hope you get in. This looks like a really good application. Gratz, man! 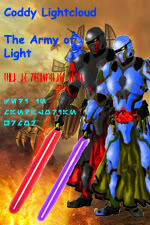 Welcome to the Army of Light! Thanks again, everyone, for the kind words, and the congratulations. I am grateful to The Army of Light for this opportunity, and I look forward to many fun times ahead, with you all! I will get started on the next steps this weekend, and will be in touch after the tasks are accomplished. Congrats Craylon. Welcome to AL. Wow, now that's a great example of a lot of effort going into an app! Contrats Craylon, let me know if you need any help knocking out your initial requirements!